Here's a super quick project I sewed up today. 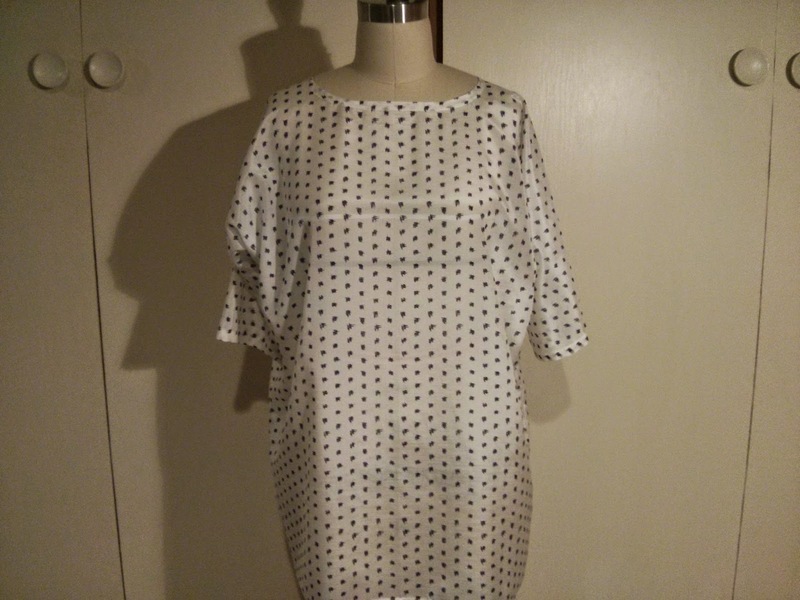 This is a tunic from the Pretty Straight Sewing Japanese pattern book. The fabric is a sheer cotton/silk print from J. Crew that I got from Bolt a couple of weeks ago. 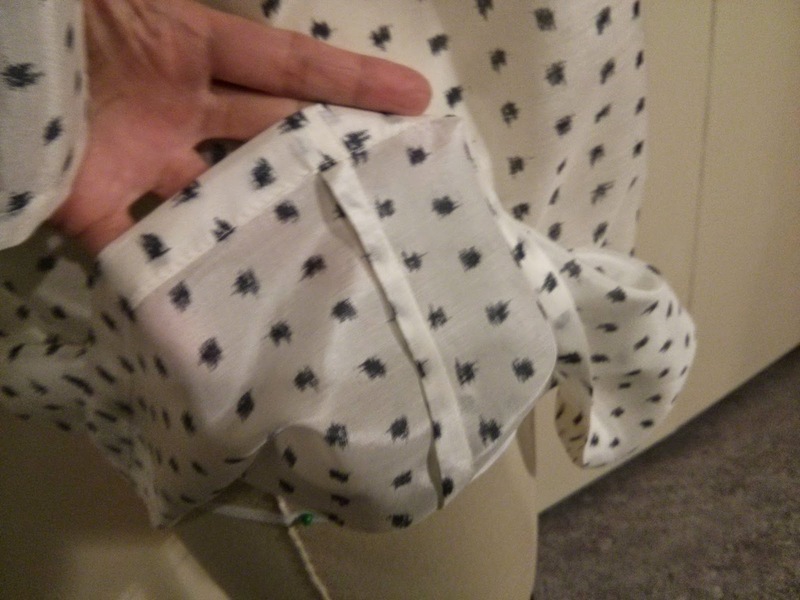 This tunic has only two seams that I had to sew: the bottom of the sleeve, then the side. I sewed French seams to make things neat. I cut some bias strips for the neckline and then hemmed the sleeves and the bottom and I was done! 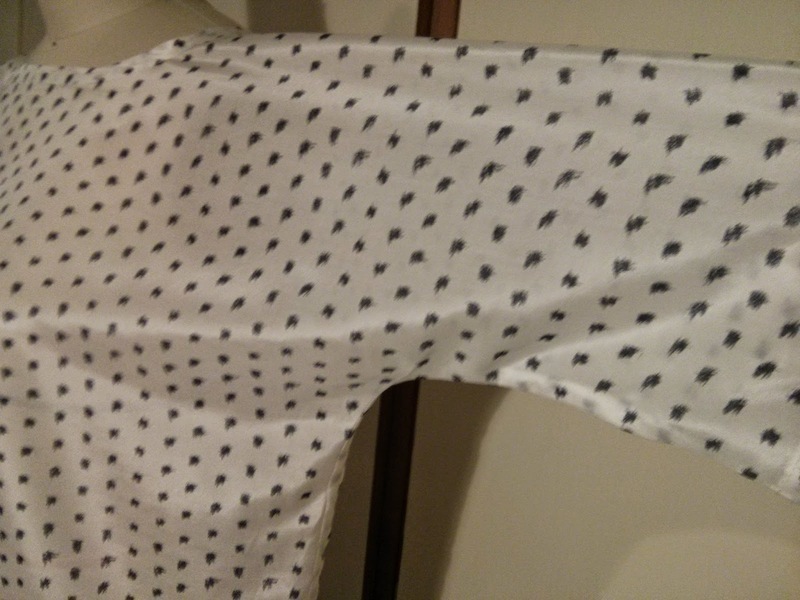 This was supposed to be a dress, but I found a hole in the fabric that could not be repaired. Luckily it was toward the bottom of the garment and remedied by cutting about six inches off the bottom.